For nearly forty years, the now infamous experiments had not been a topic of Holocaust conversations, so little was known about them. On January 27, 1985, six Mengele twins met at Auschwitz II-Birkenau to observe the 40th anniversary of the camp's liberation. They continued on to Jerusalem for a mock trial for Mengele, where 80 twins participated. The Auschwitz observance and mock trial generated worldwide publicity and helped locate even more Mengele Twins. The US Congress even passed a resolution to begin a search for Mengele. As a result of the Mozes twins' efforts in the early years, CANDLES reconnected 122 individual twins living across ten countries and four continents. Fifty years after the liberation of Auschwitz, Eva returned to the site and stood where so many were tragically murdered. At her side was Dr. Hans Münch, a Nazi doctor who knew Dr. Mengele, but did not work with him in Auschwitz. Eva read Dr. Münch's signed witness statement to contradict those who denied the Holocaust. To the surprise of many, she then freed herself from her victim status and announced to the world that—in her name alone–she forgave the Nazis. An incredible weight of suffering was lifted and she felt strong. Offering her forgiveness healed Eva, but it did not mean she would forget or that it changed what happened. Forgiving the Nazis drew mixed reactions and controversy. Throughout each subsequent conversation about forgiveness, Eva remained insistent that the act was for her well-being alone and not intended to dismiss the Holocaust. Eva's forgiveness was the catalyst that broadened CANDLES' focus to include peace on both a personal and societal level. In 1995, Eva opened a small museum in Terre Haute, Indiana, her home since 1960. With the purpose of educating, the museum housed various artifacts from Auschwitz and documents relating to Dr. Mengele. Thousands of people, mostly school-aged children, have visited the CANDLES Holocaust Museum and Education Center since then. Eva and the work of CANDLES was interrupted by a devastating arson in November of 2003. Though the museum was destroyed, CANDLES was not. Surviving the camps taught Eva "to never, ever give up." The need for CANDLES and its message of peace and forgiveness was made even more evident by this act of hatred. Through the generosity of countless local and national supporters, CANDLES rose from the ashes and erected a new building. 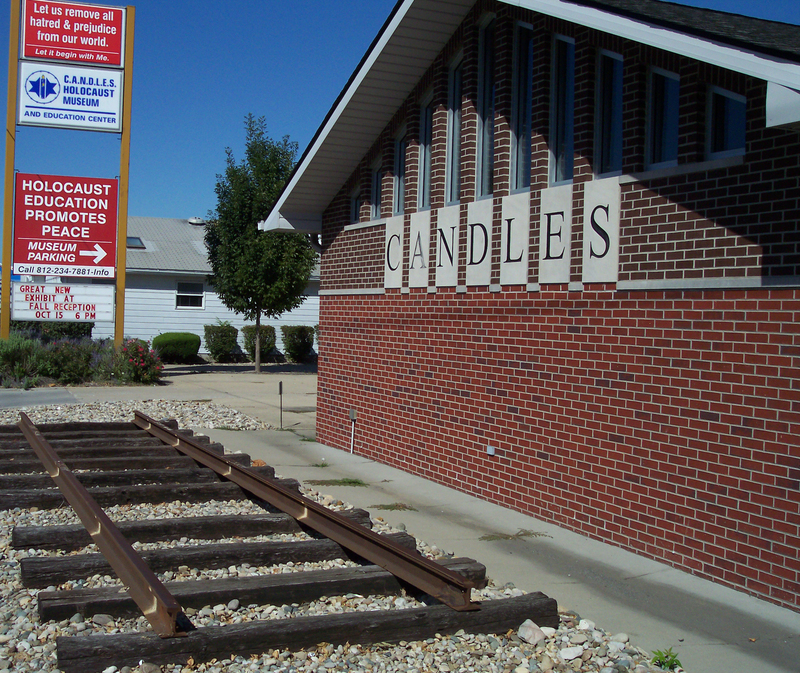 By April of 2005, CANDLES Holocaust Museum and Education Center was reopened to the public. Instead of destroying CANDLES, the attack strengthened the organization's resolve and brought it into the public eye. CANDLES established a board of directors to assist with the administration of the new facility and help communicate its important messages.